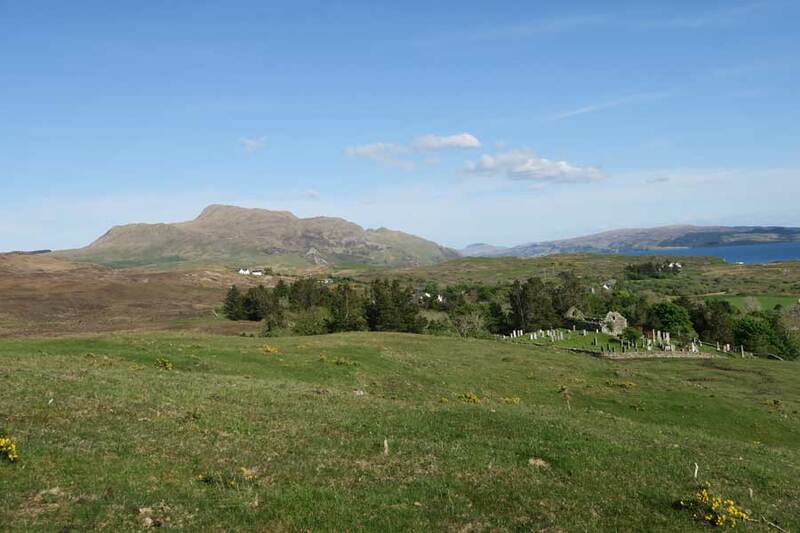 A lovely short walk up the flanks of Glebe Hill by Kilochoan on the Ardnamurcha peninsula, taking in the old parish church of Kilchoan (St Comghan's). 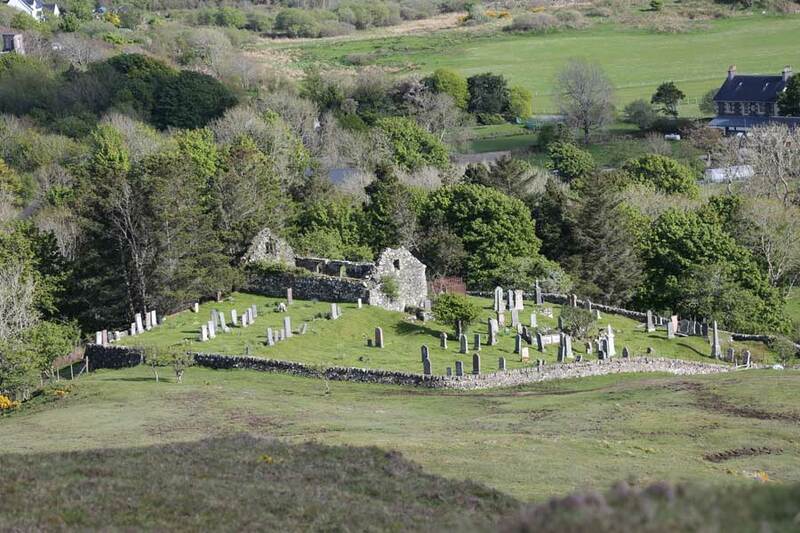 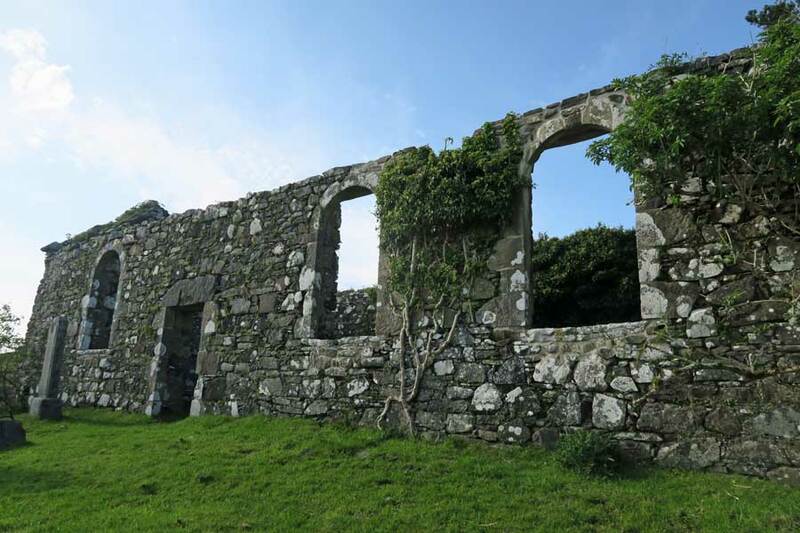 Take time to explore St Comghan Church (a scheduled monument) and the associated graveyard. 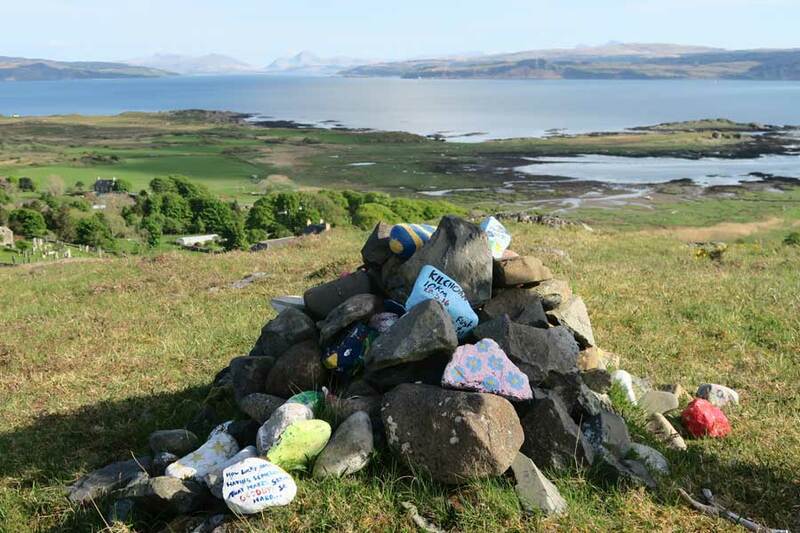 The walk heads towards a small cairn of painted pebbles or as far as you wish. 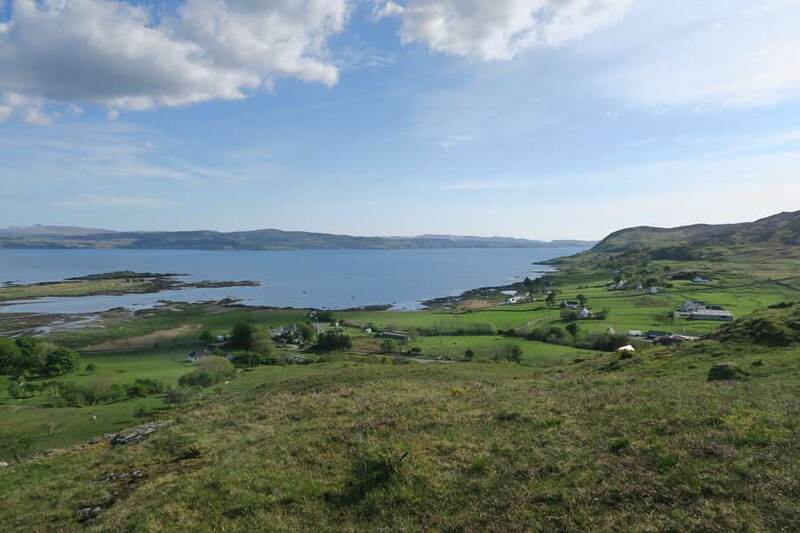 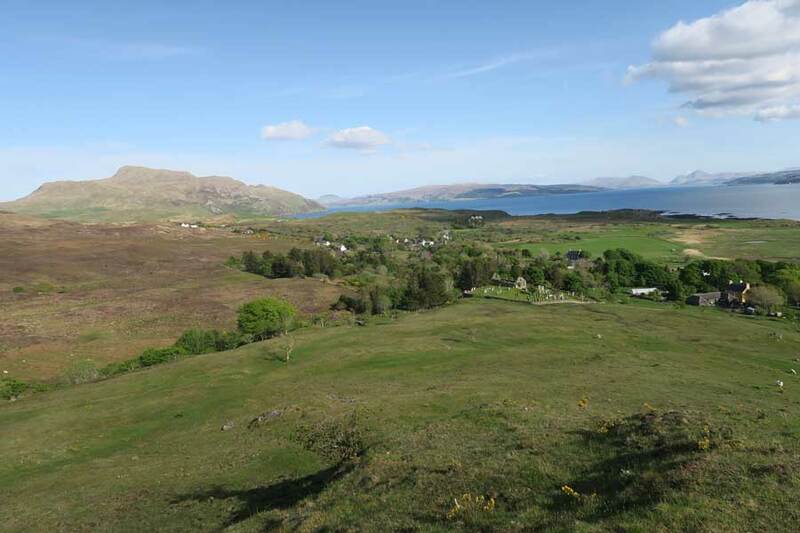 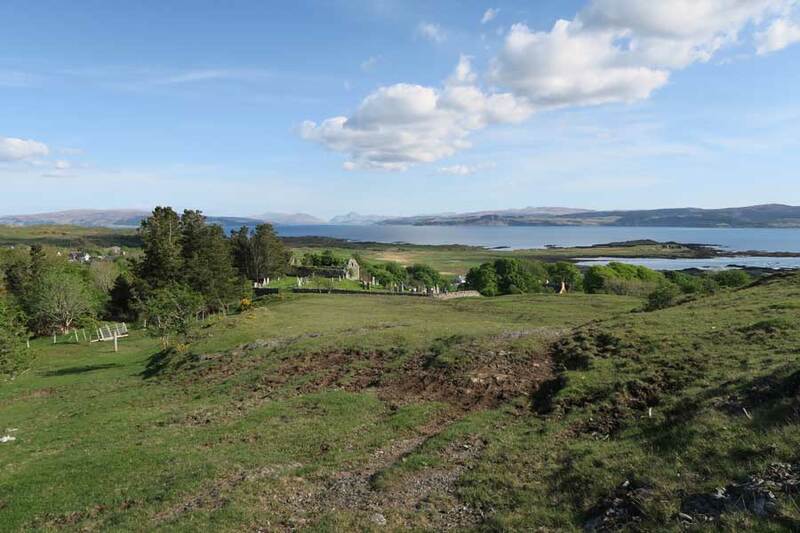 There are some fabulous views over Kilchoan, Kilchoan Bay and beyond. 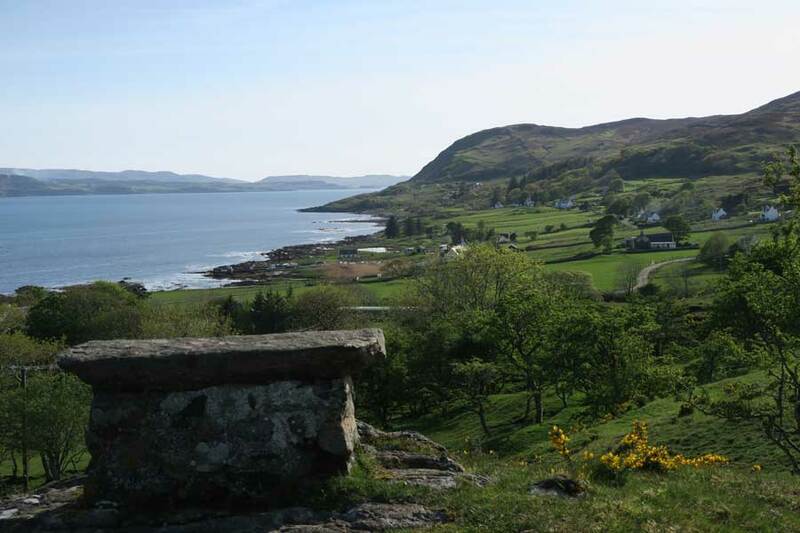 There is also a stone bench upon which you can contemplate the tranquillity and beauty of this lovely spot on your return. 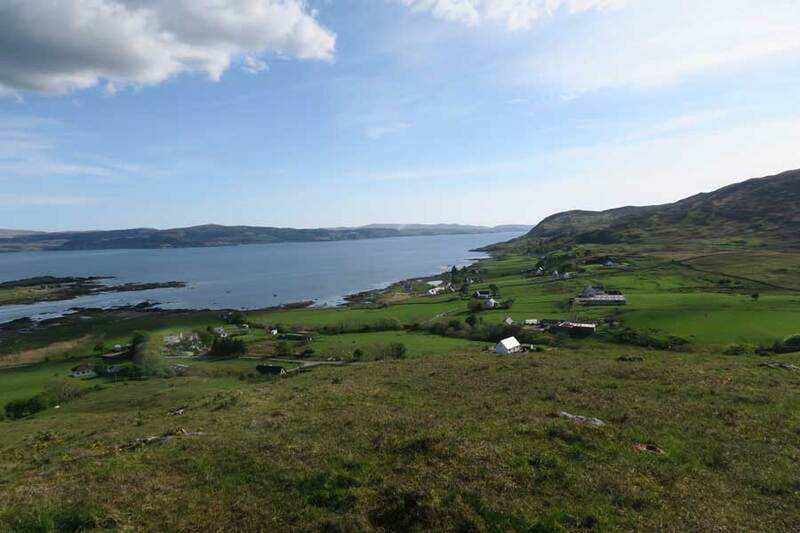 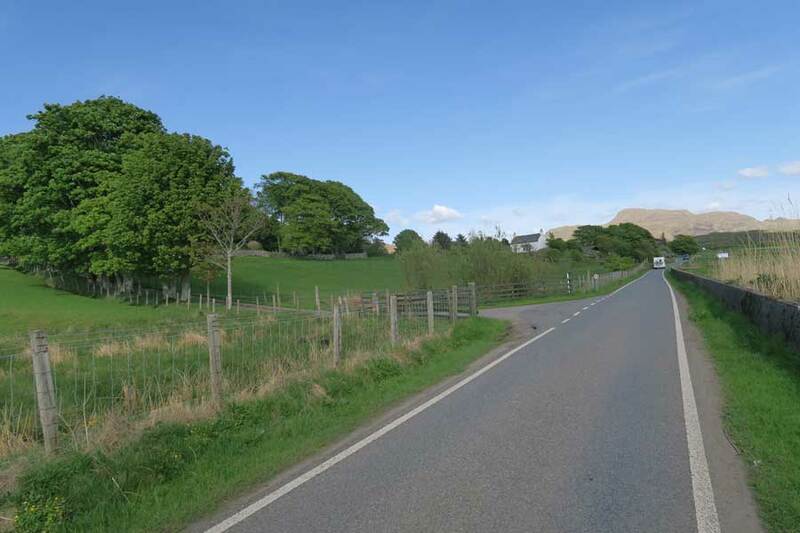 We suggest parking by The Ferry Stores at Kilchoan and walk eastwards along the lovely coastal road for around 500m. 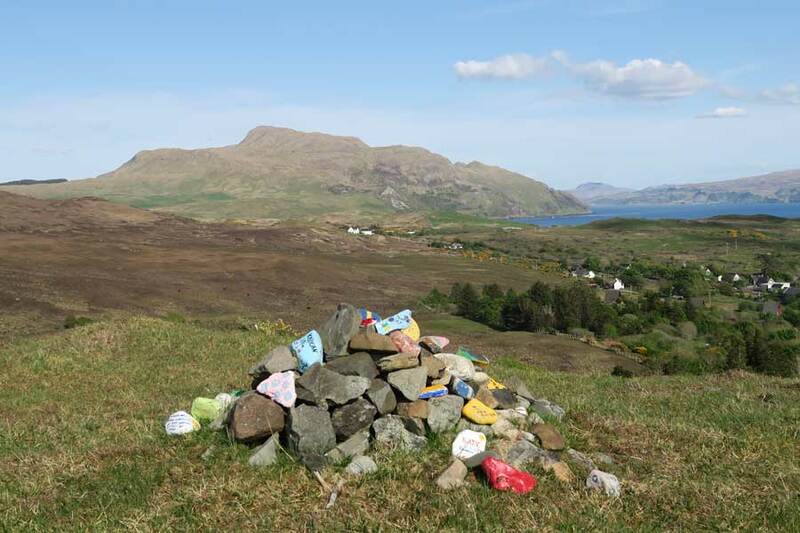 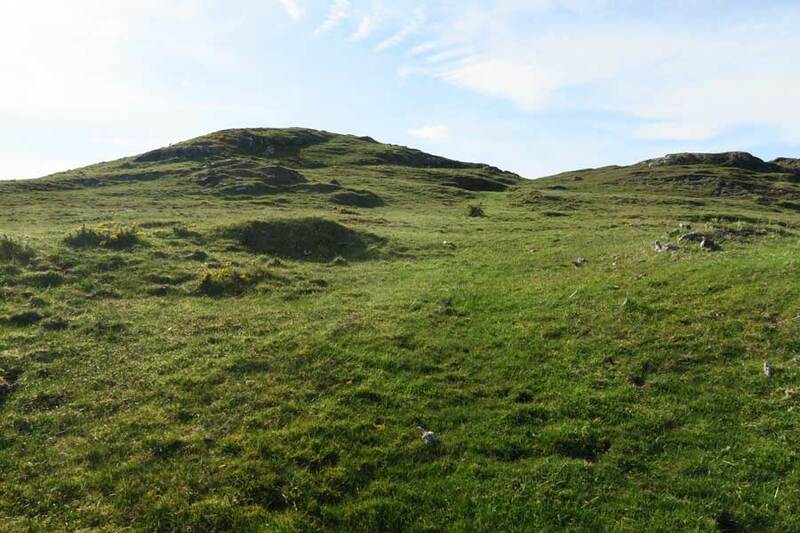 The start of the walk is marked by a sign post to Old Kilchoan Cemetry. 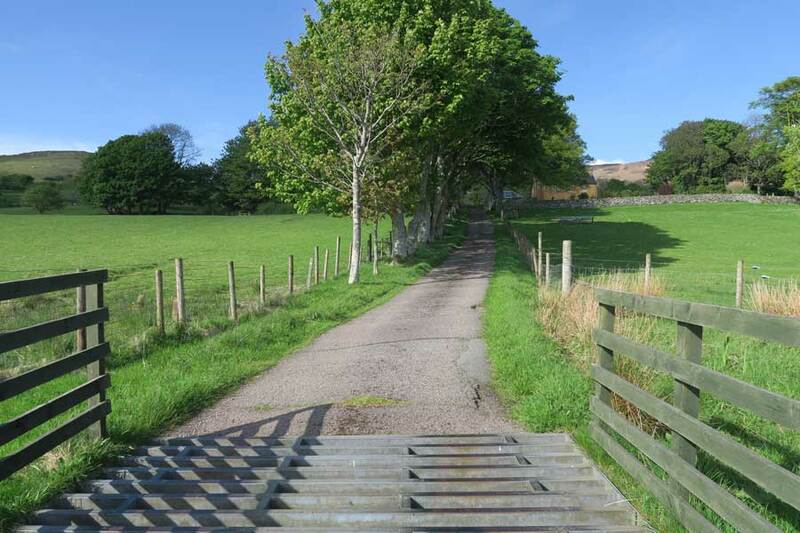 Cross the cattle grid and follow the track north. 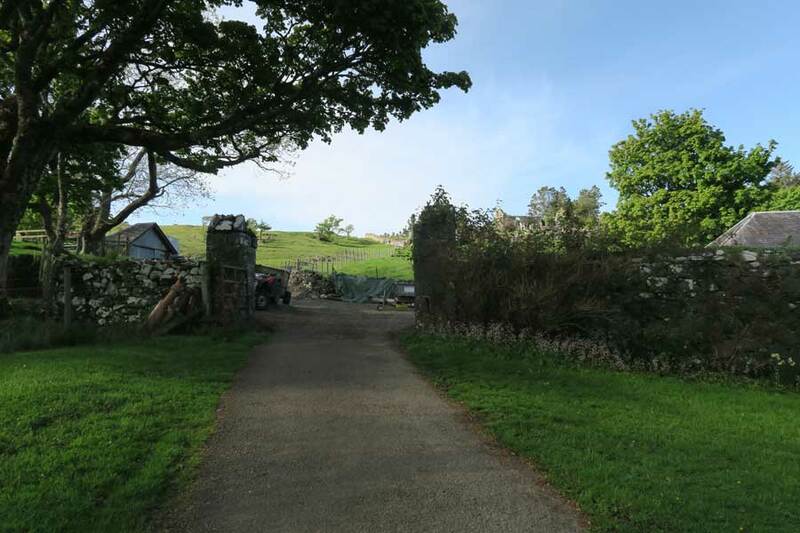 Continue on the track past the large house on the right and cross through the courtyard heading up towards the field. 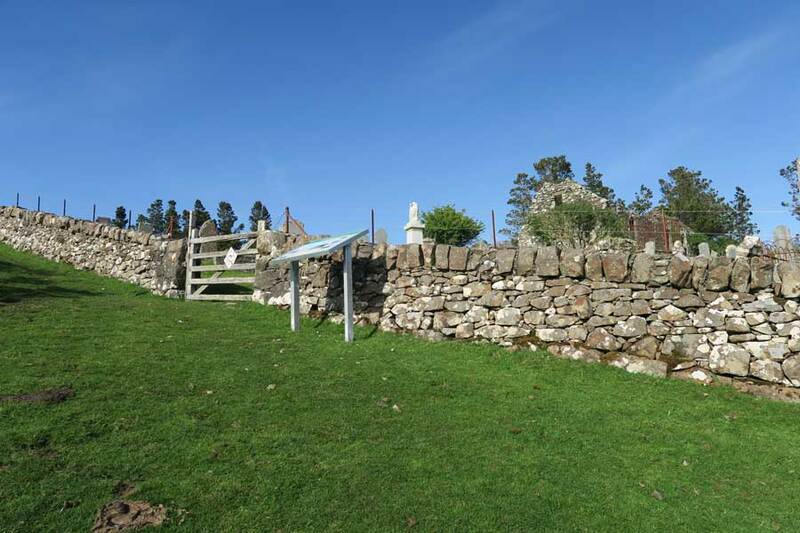 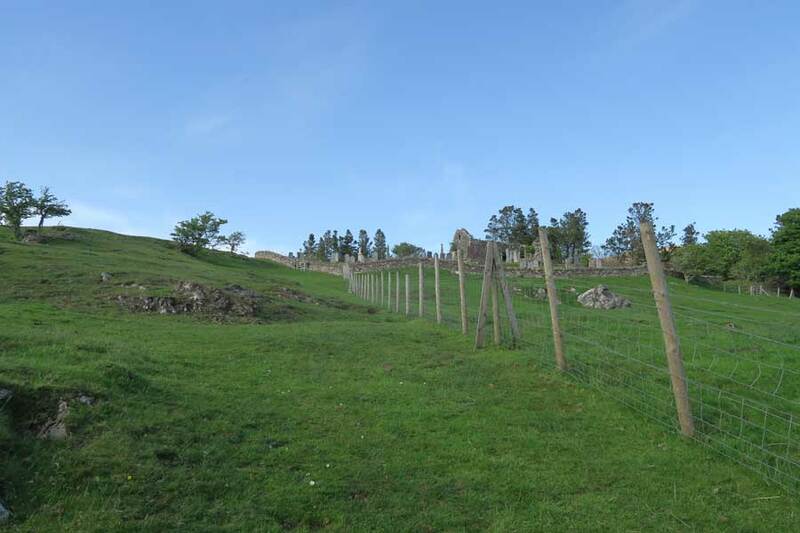 Go through the metal gate and follow the fence up towards the church, which should be readily visible. 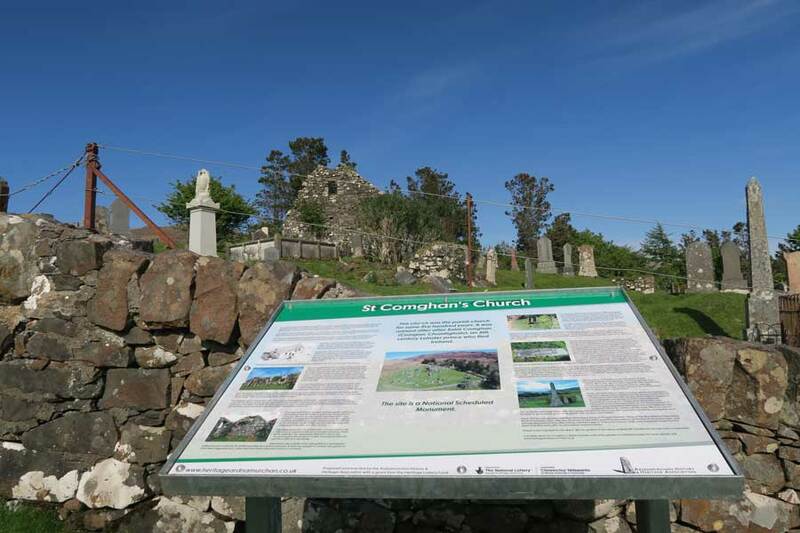 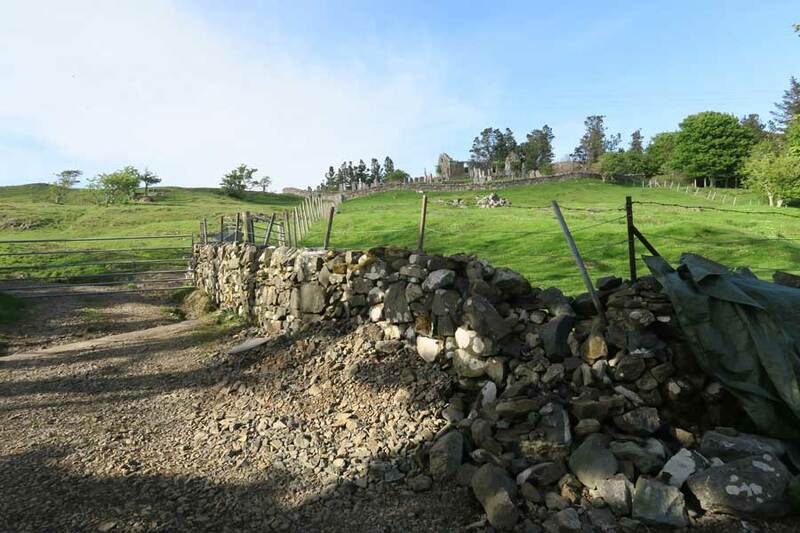 After you have explored the church and burial ground you can either return or continue heading uphill towards the small cairn at the top. 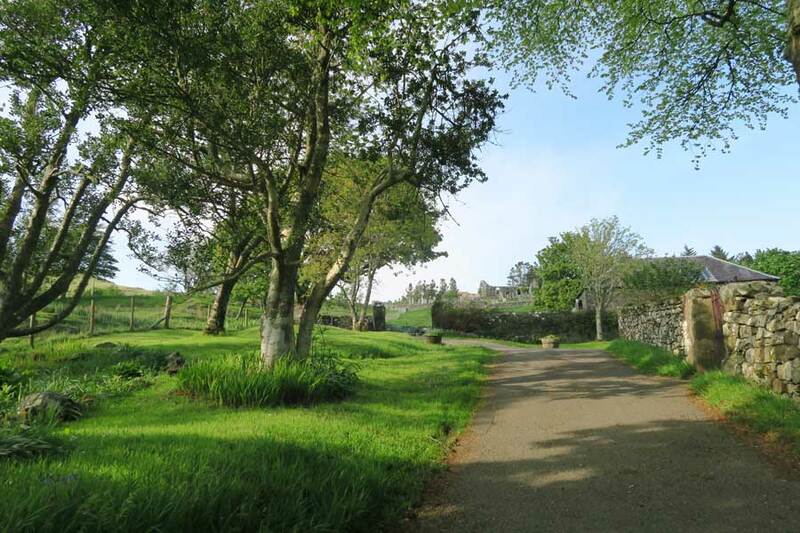 Take time to enjoy the views and return down the hill passing by a scenic stone bench.